Hakeem Bello, Abuja: As a first step towards solving the debilitating liquidity problem in the Power Sector, the Federal Government is committing up to N702 Billion to the Nigerian Bulk Electricity Trading (NBET) to enable it meet its payment obligations to Generation Companies (GenCos) on a more regular basis to ensure delivery of electricity across the country. The commitment under the “Payment Guarantee Support to NBET”, scheme takes retrospective effect from January, 2017 and would enable the government-owned NBET to pay its obligations to the GenCos and through them to their gas and equipment suppliers, banks and other partners. According to a Communiqué issued Friday by the Ministry of Power, Works and Housing, the Federal Government intervention, which represents a critical element of its Economic Growth and Recovery Plan, is part of the far-reaching steps taken by the Federal Executive Council (FEC) on Wednesday, March 1, 2017, to reset the electricity industry in view of “the critical role that energy and access to electricity play in economic growth and poverty reduction”. It is also to provide payment assurance to electricity generation companies, improve financial liquidity in the power and banking sectors and ensure the provision of electricity to households and businesses to boost economic growth, job and wealth creation, the Communiqué said. Recalling that the Commissioners of the Nigerian Electricity Regulatory Commission (NERC) was recently inaugurated to provide government with “the requisite legal and regulatory framework to implement its credible recovery programme,” the Communiqué said the steps, “conceived within a sequence of sector reforms”, represented Government’s commitment to enforcing decisions taken as a nation to move from a wholly Government-owned to private sector led electricity industry. “These steps, conceived within a sequence of sector reforms, confirm Government’s commitment to enforcing decisions taken as a nation to move from a vertically integrated Government owned statutory monopoly that did not serve our power needs, to a private sector led industry-with Government as guarantor, regulator and policy maker–that achieves the objective of developing a better and sustainable power sector as quickly as possible”, the Communiqué said. Assuring that Government, in collaboration with NERC, would continue to work with the DisCos to improve their payment performance from the current 24.9 per cent level, with the 100 per cent target, the Communiqué said subsequent complementary interventions would seek to strengthen financial transparency and discipline to ensure that all industry revenues were fairly distributed to all market participants and their suppliers according to contractual commitments. Subsequent interventions, the Communiqué also said, would seek to achieve and exceed the contracted and committed ATC&C loss targets and sustain aggregate collection efficiency above 60 per cent as well as secure adequate capitalization and liquidity to ensure that all market participants, particularly those upstream of the DisCos, were paid according to contracts and were adequately funded to sustain and expand their operations. Other objectives subsequent Government interventions would seek to achieve include attaining and sustaining generation, transmission and distribution above 4,000 MWh/h delivered to customers, from lowest cost base load GenCos by deploying and/or facilitating new generation using all available energy sources. Government will also seek to recover lost gas supply, add new gas supply, and complete transmission projects curtailing generation particularly in the eastern part of the national grid, the Communiqué said adding that through wider consultation, government would implement a simplified tariff methodology that would accurately reflect market realities, exchange rate realities, and the cost of producing and delivering electricity. Acknowledging, however, that the plans alone would not solve all the problems of the Power Sector, the Communiqué said they were, however, conceived “within a package of measures” to ensure that the electricity system continued on a steady trajectory of growth, better service delivery and a climate where investors who played by the rules set by NERC and deliver results that benefit the consuming public were compensated appropriately. 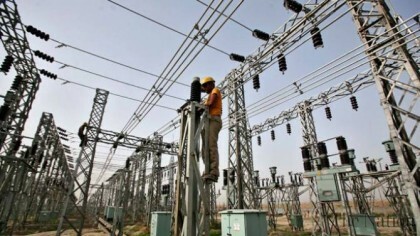 It recalled that NERC licensed eleven distribution companies (DisCos) to distribute and sell electricity with the Private Sector owning 60 per cent while Government retained 40 per cent shares of the companies adding that Government also established NBET, 100 owned by it, to buy electricity in bulk from electricity generating companies (GenCos) licensed to produce electricity. “The intention was that while the DisCos take the time necessary to improve and expand their networks of substations and lines, enumerate and meter their customers, buy additional power directly from GenCos and provide better customer services, the existing and new GenCos could confidently make investments to expand generation with assurance that the bulk buyer would pay them for the electricity they deliver”, it further explained adding that Government retained ownership, for the time being, of the transmission system used to transmit the electricity from the GenCos to the DisCos. It said, however that the DisCos have not improved customer services at the pace Government and the country would expect and also were not paying fully for the electricity they received from the GenCos through NBET adding, however, that some of the reasons for the failure were not the fault of the DisCos alone. According to the Communiqué, “Regulatory and tariff inconsistencies of the past administration, unexpected changes in the foreign exchange market, and lower than expected generation due largely to pipeline vandalization for example, have challenged the DisCos’ ability to perform. But much of the failure relates to their inadequate financial and technical capacity and some sharp practices of the DisCos in their administration of collections from customers”. Explaining the reason for government intervention, the Communiqué said as a result of the aforementioned inadequacies, NBET’s monthly collection from the DisCos was not enough to pay NBET’s contractual obligation to the GenCos resulting to huge government debts adding that in recent months the payment by the DisCos to NBET was as low as 17.0 per cent of NBET’s invoice. “In January 2017, it was 24.9 per cent. The GenCos in turn do not pay their gas suppliers, equipment suppliers, banks and other partners what they are contractually bound to pay. The DisCos also do not pay TCN what is contractually due to it for transmitting the energy the DisCos sell to consumers”, it said adding that these had resulted in payment shortfalls with the accumulated debts increasingly threatening the electricity supply system and undermining the growth of the economy and the electricity sector. The Communiqué read in part, “In recognition of the critical role that energy and access to electricity plays in economic growth and poverty reduction, the Federal Government of Nigeria (FGN) as part of its Economic Growth and Recovery Plan, at its Federal Executive Council meeting of 1st March 2017 has taken far-reaching steps to reset the electricity industry”. “These steps, conceived within a sequence of sector reforms, confirm Government’s commitment to enforcing decisions taken as a nation to move from a vertically integrated Government owned statutory monopoly that did not serve our power needs, to a private sector led industry –with Government as guarantor, regulator and policy maker–that achieves the objective of developing a better and sustainable power sector as quickly as possible”.